In 1934, a pastor from Georgia made a trip to the Holy Land, and then on to Berlin, Germany to attend a ministry conference. While he was in Germany, this man, Michael King, became so impressed with what he learned about the life and legacy of the church reformer Martin Luther, that he decided to do something dramatic himself. In a kind of tribute to the man’s memory, he changed his own name to Martin Luther King. He had a five year old son who was also named Michael – Michael King Jr. And in an act that would prove to be somewhat prophetic, he changed his son’s name, as well. And so Michael King Jr. became known to the world as Martin Luther King, Jr.
That’s just one tiny example of the massive influence of Martin Luther. On October 31, many folk focus on dressing up in costumes and trying not to overdose on fun-size Snickers. But there’s something much more worthwhile upon which to reflect than Halloween. It’s Reformation Day, marking a huge movement of renewal and change for Christ’s Church. And the myriad significant changes in Western society that have come as a result of the so-called Protestant Reformation can be traced back to a moment when Martin Luther nailed his 95 theses – protestations – to the door of the Castle Church in Wittenberg, Germany. The sound of his hammer would be heard around the world. It’s not an exaggeration to say a tsunami-like wave swept in, permanently altering the landscape of the Church and culture in countless ways. It released a pent-up energy for renewal and change. So much was re-formed. And it happened on October 31, 1517. Five hundred years ago. I’ll warn you now – this is a long post. If you’re not in the mood, skip to the take-aways at the end. But if you hang with me, I think it will be worth our time together. Martin Luther was born into the world about the time Columbus “sailed the ocean blue in 1492” (when the indigenous people of America discovered Christopher Columbus :)). Gutenberg had invented moveable type and the printing press was in its infancy. The sale of books and literature was about to explode and change the world. The Holy Roman Catholic Church was the unquestioned authority. Into this world and church Martin Luther was born. Martin suffered from what we might today call anxiety or depression, or even chronic worry. He had a brilliant mind which served him well in his studies, but which seemed to turn against him in spiritual matters, as he was perpetually tormented about his spiritual state before God. He was taught the holiness of God, and that God could not tolerate any sin. His keen mind constantly probed the inner workings of his soul to discover sin after sin after sin, each of which condemned him to hell. Elaborate scenarios of Hell’s horrors danced in his mind, plaguing him with fear of the Devil’s delight at his helpless condition. His life was therefore marked by repeated trips to the priest to confess his sins as thoroughly as he could. He would recite every thought and motive, hoping for absolution and forgiveness. But the moment he left the presence of the priest, he would immediately realize he had forgotten some possible sin to confess and therefore was still in need of cleansing to be made righteous before God. It was a depressing cycle that left him realizing that no matter how hard he tried, he was doomed spiritually and would be left unclean before God. This problem seriously depressed Martin, who was known as a melancholy sort of dude, constantly filled with anxiety. He called his malaise Anfechtung. That’s a good German compound word that comes from words that mean to duel with or fight. He did battle in his own mind, fighting with his demons. He heard voices, fought hopelessness, worried about his death and ultimate destiny, knowing that if he died he would be condemned to fall into the everlasting suffering of Hell. It is a bargain prayer. Unlike some of us who have also uttered such lightning bolt desperation prayers, Martin followed through on his vow. Against the protests of many friends, and without breaking the news to his disappointed father, he sold his books and possessions and entered an Augustinian monastery. But being a monk and eventually a priest didn’t help his spiritual struggle any. In fact it made it worse, because now he sees even more clearly that he can never be good enough. He plays the religious game as well as anyone could. He becomes a super conscientious Christian attempting to earn enough “good” points to earn God’s favor as he was taught, but realizes he can’t do it. And it throws him into even deeper despair. The story goes that a superior, in exasperated frustration, threw a Bible at him and said, “Read that!” Martin did read it. And like warm bread to a starved soul, it fed him with the surprising good news he had missed before. He came across passages in Romans that said the righteous shall live by faith! What? Righteousness coming about not by the good works we do, but our faith in Christ? Ephesians drove home to him that it is by grace we have been saved through faith, and this is not of our own doing, but the gift of God. (Ephesians 2). 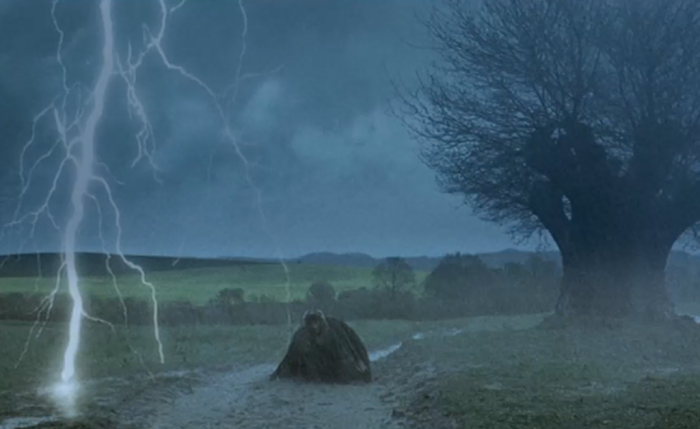 Here is the true lightning bolt of awakening for Luther. Martin has a paradigm shift in his own heart that would lead to the most dramatic paradigm shift the Christian world had seen since the days of the Apostles. His radical turn around shook him to the core, and would shake the entire world. The ironic lesson for us all is that his discovery was not anything new, but a rediscovery of misplaced truth of the gospel — that we are saved not by works, but by GRACE. 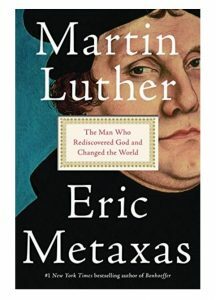 Luther dared to look beyond what the Church taught to what he understood the Bible itself to teach – a distinction that nobody was making because they all thought whatever the Church taught WAS what the Bible taught, WAS what God thought. He loved and respected the church, but also wanted to think for himself based on what he was reading – even though it collided with tradition. He experiences a radical revolution in his heart! Finally, he has found his rest, his peace, his relief, his freedom from spiritual condemnation. He began to see God not as his mortal enemy but a loving Lord who had sent his Son not out of anger, but to reach and rescue us from endless cycles of works that don’t lead anywhere. And he wanted everyone to know what he now knew. He became a driven man, possessed with this news, eager to spread it. And so he took to the Facebook of his day, the community bulletin board, if you will. As was the common practice, he wrote reasoned arguments and then posted them. Ninety-five protestations in which he raised questions and made assertions about the insights he had. He posted them as challenges. And on October 31, 1517 – 500 years ago this month – Luther posted his 95 theses on the great wooden doors of the Wittenberg Castle Church. It was his way of raising a fist against the establishment, kneeling during the anthem, as some players have done to say, I love this country, but we can do better. Martin wanted to strengthen the church he loved, and he posted his arguments to challenge it to be better. One particularly grievous practice which found its way into the 95 theses was the church’s understanding that forgiveness was something that could only be accessed through the priest. 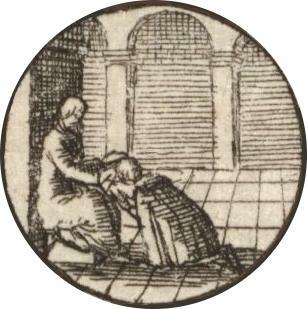 Name your sins before the priest in confession, and a certain number of Hail Mary’s or recitations of the Lord’s Prayer could be prescribed as an invitation for a penitent believer to do penance and connect with God for the absolution of sin. Unfortunately, some made these disciplines into meaningless rituals, hoops to jump through in order to clear your account. Meaningful encounters with God devolved into a kind of magical understanding, which eventually eroded into a monetized system. That’s what particularly fried Luther. The sale of indulgences. Basically, it was a way of buying forgiveness. For a donation, you could purchase an indulgence. Then when you went to confession, if the priest prescribed 40 Hail Mary’s, you could produce your certificate and you were off the hook. Sins paid in full. From there it was a short step for the church to begin using the sale of indulgences to raise money for capital projects. To Luther it seemed they were selling forgiveness as a fundraiser. And from there it was a short step to use indulgences for your loved ones. Perhaps you had a deceased uncle who was nasty enough that they were surely suffering in purgatory, clawing for centuries in that near-Hell hole. Why not buy them out, purchase some relief and improved status for them by transferring some of your purchased merit points in the form of a gift to the church treasury? It was not the most beautiful era of Church history. Well known corruption by a chain of Popes added to the ire of Luther and others. Change was needed. Luther re-discovered the Bible’s fresh truth that Jesus paid it all. Anyone can find forgiveness through faith in Christ. Righteousness come by grace through faith alone. It’s right there in scripture but was covered over by centuries of misunderstanding. Doesn’t it make you wonder what we are missing in our time? What bold, obvious truth of the gospel will future generations be amazed that we overlooked? Luther’s theses called these and other practices into question, setting off a series of sea changes that today we refer to as the Protestant Reformation. To say the establishment didn’t receive his ideas very openly is an understatement. A storm of debate ensued. Those branded heretics were burned at the stake, or worse. Luther was in big trouble. The church’s response to his questions was to stamp it – and him – out. You have to understand, there were plenty of heretical voices, against which the church had to be preserved. It seems this posture got them in the habit of squashing any voice perceived as rogue. It’s a great lesson for leaders today. Luther wasn’t an enemy. He was raising questions to strengthen a church he loved. But he was viewed as a threat, so they would hear none of it. By viewing him as a dangerous voice and pushing it all down, they only spread his influence and caused the deepest division the Church has ever seen. A different approach could have yielded different results. What do we, the established church, do with “rogue” voices of reform today? We must pray for discernment so that we recognize what is a dangerous false teaching, and what is a needed correction from the Spirit. 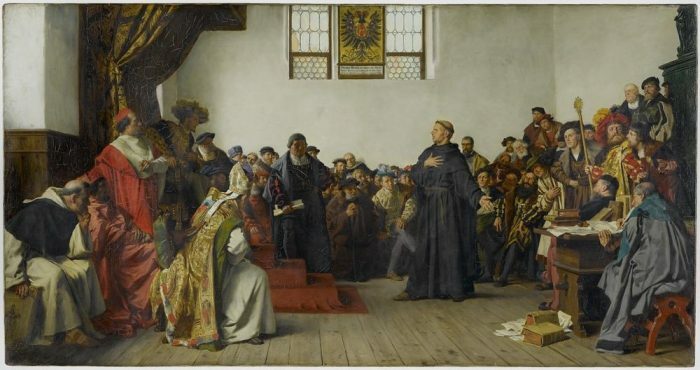 In 1521 Luther is taken to the Diet of Worms – sounds appetizing doesn’t it? It was supposed to be like a debate, but there was no debate. It was more of a kangaroo court. They demanded he recant, take back everything he said. No discussion was allowed. “Recant or you’ll be excommunicated” was the message. He knew he’d probably be killed, too. He asks if he can have overnight to think about it, and they grant it to him. The next day, they marched him in before the council, sure he would recant. But the night before Luther had turned things over in his mind – and he was sure that we are saved by our faith in Jesus, not our good works, or buying indulgences, or saying special prayers, or making sure we cover our own sins to a confessor. He was sure of the truth he found in the Bible, and so he is ready for his response. When you are more concerned to honor God than any person or institution, you are a dangerous person. When you are so convinced of God’s truth that you don’t fear death itself, you are a powerful person. This is the position of Luther that day. “Do to me what you have to, but I can’t pretend this isn’t’ true. Kill me if you must, but I will not take it back. I stand with God and his Word.” That conviction fueled the reformation. He is kidnapped by friends who hide him in a castle for 8 months against his will. Luther is frustrated that he can’t get out and talk about what he believes, but once again what the enemy meant for evil God used for good. In that time, in the protected solitary confinement of that cell, Luther translated the New Testament into German and for the first time common people would have the written word of God in their own language, a language they could understand. God’s word hit the streets. And once the word of God gets out, you cannot contain it. It has a power and magnetism of its own. And it spread like the California wildfires. A blazing explosion of God’s truth all across Germany and then Europe, and on from there. This ignited a fire of reformation and revolution in the church. May it be so today! That God’s living word hits the streets and we help it be known in the common language. Luther reformed the Latin mass by putting the liturgy in the common tongue so that non-scholars could hear and understand the preached word of God and worship the Lord with clarity. Worship is for everyone! 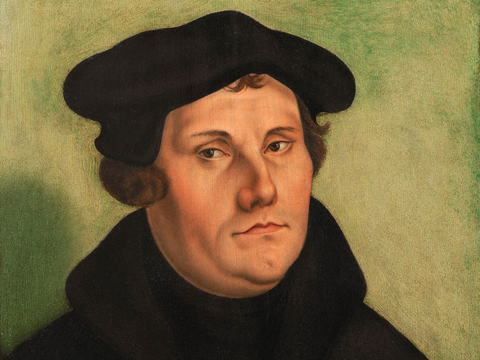 Luther lifted the ban on marriage for the clergy. His own marriage and teaching on it radically transformed marriage and family as we understand it today. He recaptured the biblical teaching of the priesthood of all believers, showing all people that their work had purpose and dignity because in it they can serve their Creator. His theology of work continues to be vital truth we desperately need today. Everyone is meant to serve God! Emboldened by Luther, many others would devote their lives to helping usher further changes bringing fresh wind to fan the flames of renewal. People like Theodor Beza, Martin Bucer, Heinrich Zwingli down in Zurich, John Calvin over in Geneva, Philip Melancthon back in Wittenberg, each with an amazing story, as the flame kept spreading. I cannot do justice to the impact of Martin Luther. Hopefully, you have gleaned something useful here. I’ve been enriched and have drawn upon a good new book by bestselling author Eric Metaxas called “Martin Luther” which I commend to you if you want to do further study. 1. We are saved by grace through faith in Christ. Nothing more. It’s not Jesus plus something. It’s just Jesus. There are times I need the same fresh realization Luther experienced. Perhaps you do, too. It is our default mode to do life on our own merit. If you are trying to prove to somebody that you are really good at Christianity, really capable, doing a lot of good stuff, isn’t it time for a reformation? Let go of all that and fall back into the realization that you aren’t really “all that” and that’s okay, because we are saved by grace. And this must be our message. So many who fill our church at Mountain who need to know they can be saved by grace. And so many who have already called on his name need the same message! Many are sure God is an angry God for whom they can never be good enough … and we can hold out for them a good and gracious God who loved them enough to provide a way for them to be with him. This is our message. Some are plagued with the fear of condemnation from not being good enough. Some are filled with pride, thinking they are good enough. All of us need reformed hearts that trust in Jesus alone for our hope and salvation. Grace changes everything. 2. We must never be afraid to be disruptive to the system. Because sometimes the system is wrong. 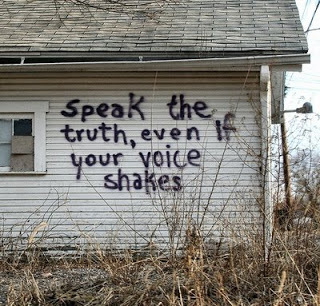 We must be willing to speak truth to power. We must be willing to challenge long held, cherished assumptions. We must be ready to offer sacred cows as hamburgers when God’s word clearly points there. If you are clear about something, based on God’s word, it doesn’t matter who is opposed or what threats face you, say something. Do something. Lead out in it. I believe we must never seek to be divisive. Luther didn’t’ want to be divisive. In fact it was the last thing on his mind. But the chips fall where they may sometimes. Luther stood up for what he believed God’s word said, the truth of the gospel, even though everyone around him, the power structure, the leaders, the church and society said he was crazy and heretical. They excommunicated him. They were going to kill him. But he didn’t’ back down or wilt. We also need to find our spine and stand up for what God is calling us to be and to say even when it is wildly unpopular. Maybe this is especially true for us because we are a large church. Some will automatically think of us as “the establishment,” upholders of status quo, the institution. But we must be like Luther … committed to radical, simple, bible based faith, willing to fly in the face of the status quo. Ready to try whatever new things the Spirit prompts. We want to be open to innovative, even outlandish things if it will further the church’s true mission. Let’s never do church how people expect. Tradition is our guide, but the traditions of people can confine the Spirit’s voice. So let us listen for when we need to venture out into fresh, deep waters, and try new things that will feel scary, threatening, and new and exciting all at once. The historians say, “The Church is ever reforming.” The moment we hope to capture our success or coast on past wins, we are dead. The Spirit is leading us to continually be reformed, renewed, and re-visioned. Anytime we get stuck in a rut, it becomes a grave; someone needs to bring the renewing emphasis. God is always reforming his Church. The only question is which side of reformation will we be on? Will we be the ones who lead the way toward what God wants to do in this new era? 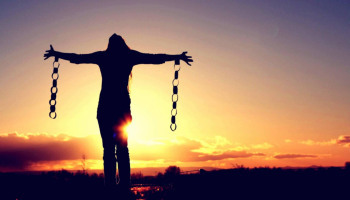 Or will we resist and fight it, preferring instead to hold on to what we already have? 3. Here was a man who experienced angst and anxiety, depression and spiritual struggle in the extreme. And yet he was delivered. Martin was set free from his torment by the grace and goodness of God. If you struggle with anxiety, depression, spiritual struggles or worries in the extreme, you can be delivered too. It can happen in the same way Martin Luther found his peace: through the grace and love of Christ filling you. Luther wrote songs for the church. One of my favorites is “A Mighty Fortress Is Our God” based on Psalm 46. It eventually was put to what sounds like a beer-drinking tune. A contemporary song of his day is today considered a hymn, and like Martin Luther’s ministry, its words have a timelessness that makes them especially poignant for us right now. Let me close this too long post by inviting you to read the words here. If you’re one who grew up in church, you will be able to hear the tune in your head. For lo, his doom is sure. No thanks to them, abideth. This article says it all. Acceptance of Jesus as our Lord and Savior is our assurance of going to Heaven when we pass from this earth. Ben, Ben, Ben….. brilliant, insightful, relevant. Thanks so much. Needed this….. I think we all do. Thanks, Ellen. I’m imagining it’s too long for most, but it’s worth realizing we are writing our own history every day and will be remembered for what we stood for. Luther had plenty of faults, and talking about him can appear to cast the Roman Church in a negative light, which I don’t mean to do. But I’m inspired by his conviction and courage, and hope it does the same for others. Peace. Pat and I were in Worms about 2 weeks ago and stood where Luther stood back then. We then saw the Gutenberg Bible later that day which was very cool. We saw a bunch of churches (Catholic and Protestant) over the time we were there and our no. 1 takeaway -these churches are more like museums or grand structures-not places of worship. Tour guides regularly told us % of how people identify (catholic, Protestant, Jewish, etc) but also said this is an identity label more than an actual demonstration of faith. I’ve been to Europe maybe 5 times and it seems like each time I’ve been there I’m more convinced it feels like a mission field despite the foundations of Protestantism. Maybe there’s a revival in store for Europe. King, you are so right. And U.S. following similar trajectory in some ways. MIssion fields for sure! “…on October 31, 1517 – 500 years ago this month – Luther posted his 95 theses on the great wooden doors of the Wittenberg Castle Church. Ben, thanks for the history lesson: the concepts from which Mountain Christian Church emerged. We have much to learn and emulate. You are quoted above. 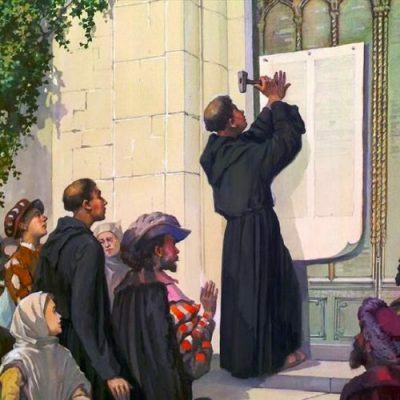 I was particularly taken by your analogy between nailing the 95 theses on the church door and kneeling during the playing of the National Anthem. Colin Kaepernick might be considered a modern day Martin Luther. Using the most effective medium available to him, Kaepernick has called attention to the on-going racial bigotry in our country–and brought tons of derision upon himself, as did Luther. I don’t need to tell you that bigotry is not a characteristic of Jesus. But too many Christians I know don’t always recognize their own prejudices. (And I must include myself sometimes.) And they don’t recognize what Kaepernick is protesting. I believe that the Christian church must lead our nation in coming to grips with the racial inequalities that exist 150 years after the end of the Civil War. We must state that bigotry is evil, in whatever form it appears. We must condemn shootings of unarmed black people by police, church worshipers by a deranged while man. 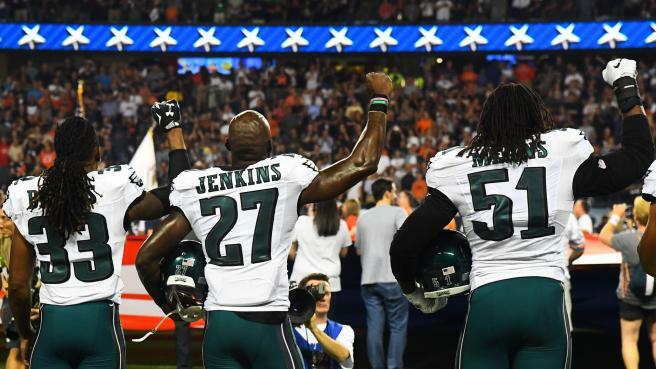 We as Christians must affirm that peaceful dissents–kneeling during the National Anthem–are not disgraceful to the Anthem, flag, nor country, they are a way to call attention to a grievous social problem in the US that needs reformation. I am proud to be a member of a church that condemns intolerance of all kinds. Thank you for y our heart and wisdom on this, Sid. We must do all we can to address racism and bigotry of any kind, not only because it’s not characteristic of Jesus, but because it at the very core of the good news which Jesus came announcing is a way of living and being that is entirely antithetical to it. We have to demonstrate a new way of living. I normally do not take the time to read the blogs but this one caught my attention. Occasionally on Sunday mornings while getting ready to go to Mountain for worship service I tune in to the “Lutheran Hour” on the radio. Last Sunday they had a segment on Martin Luther and the Reformation which I found enlightening. Your blog brought back lots of memories of growing up “Catholic” and attending Catholic Schools throughout my school years. Even back in the fifties when I attended school, indulgences and penance were a part of my belief and life. I do not recall ever being encouraged to read the Bible. After graduation when I entered the “real world” I started questioning many things and stopped going to church. Over time, I started attending a Baptist Church and was baptized. Years later, after moving to Harford County, I eventually found my way to Mountain Christian Church of which I am now a member. What a breath of fresh air! So Ben I’d say you nailed it! ( I’m so clever.). Kudos to you on this awesome essay. I really appreciated this post, especially the part about our spines. Hope all is well with you.